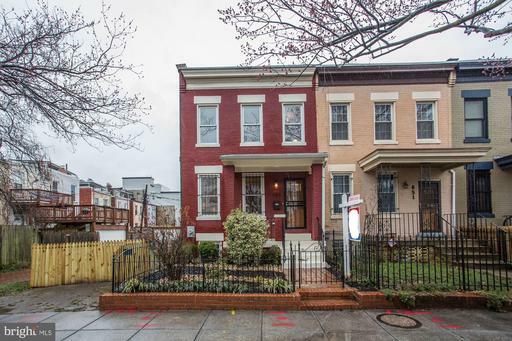 This is a package sale including 2023, 2025 and 2027 Benning Road NE. Sold AS-IS. Great for redevelopment Retail, condos, rentals. Buyers to do there feasibility study. 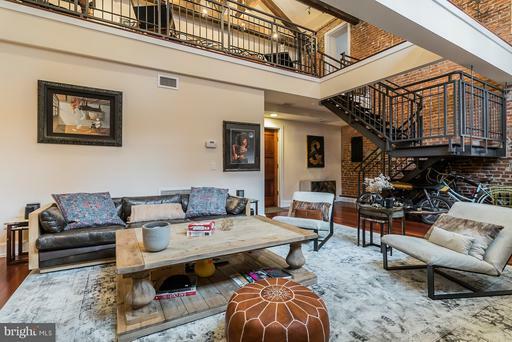 Enjoy city living at its finest in this stunning loft in Landmark Lofts at Senate Square! With abundant amenities that are sure to fit your lifestyle, this home is absolutely exquisite. Enjoy its grand living space with soaring ceilings, industrial touches, and gleaming hardwood floors. City views await from multiple private decks and balconies. Make your way into the gorgeous kitchen and dining area, boasting of Wolfe- and SubZero-brand stainless steel appliances. The second level features a dramatic loft space with beamed ceilings and track lighting, and an effortless flow into two generously sized bedrooms. The owners suite is the height of luxury with a massive walk-in closet, private spa bath, and personal balcony. With a fabulous location across the street and with a black or two from shopping, dining, grocery stores Giant and Whole Foods and entertainment options galore! Enjoy all the amenities that include 24-hour concierge, access to the rooftop pool, club room and private health club of Senate Square and private underground parking ~ this one truly has it all. *******************************************************************A boutique condominium of just 44 one-of-a-kind residences ~ an urban resort where 19th-century styles meet 21st-century luxuries! ****Luxury loft condos with dramatic open interiors. ****Premiere Abdo restoration and conversion of a 130-year-old historic building. ****Unique, innovative floor plans with exposed historic fabric, vaulted ceilings, large windows, and grand entertaining space. ****Top of the line finishes featuring Wolf-Subzero kitchens, custom baths, and designer lighting. ****24-hour concierge service and controlled access. ****Access to all Senate Square amenities including roof-top pool, club room, screening room, and a private health club. ****Wonderful Senate Square common areas with brick and granite courtyard, fountains and abundant trees. ****Private underground parking and bike storage. ****Minutes to Union Station with multiplex cinemas, dozens of restaurants and upscale retail. ****Unquestionably, the premiere Capitol Hill location. ****A true "Smart Growth" development with close proximity to Union Station and New York Avenue metros. 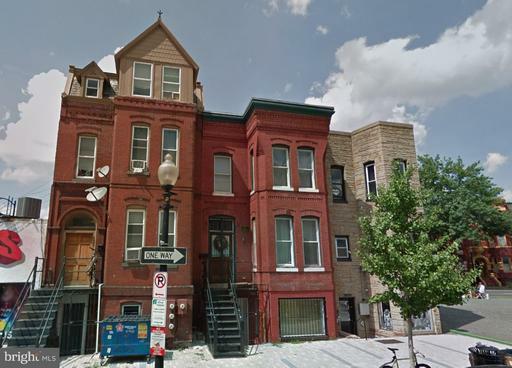 Development Opportunity in Old City #2 - U St, NW area on lovely Swann St, NW. Plans for a 2 unit possibly condos project with off street parking. Property, gutted, framed, new plumbing underground, new concrete, new roof, new windows, some HVAC ductwork completed, new electric and plumbing rough-in nearly completed. 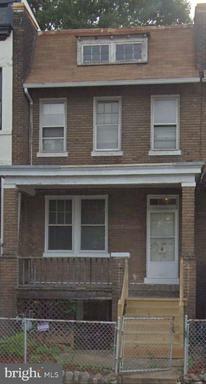 This project is ready for an investor to complete or homeowner who wants a lower level rental income opportunity. Property can be turned back into a single family home. This property has a walk score and bike score of 98. Property is an REO and seller requires deposit to be held by Palisades Title Co. and closing with Palisades Title. Elegant, new fee simple townhomes located at award winning Buchanan Park. 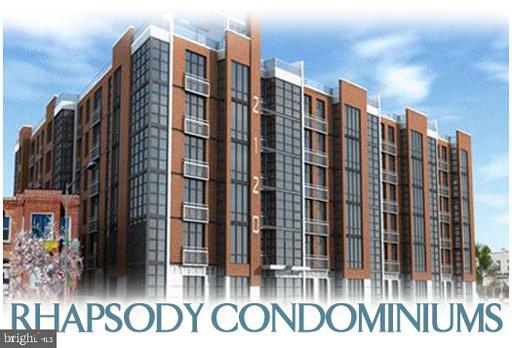 Offering world-class finishes, spacious floor plans, all brick exteriors, semi-private cobblestone driveways. Private roof deck private garage included. Bosch appliances. Natural oak sand-in-place floors, crown moulding, marble bathrooms, Waterworks fixtures, dual zone heat and a/c, and more! Immediate delivery! 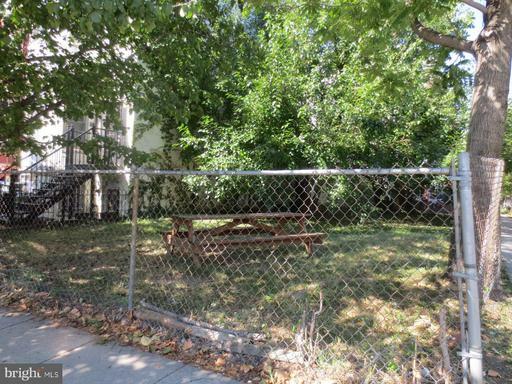 Great corner vacant lot at an excellent location. 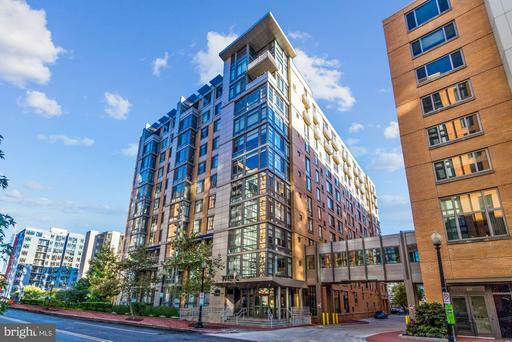 Surrounded by new developments, close to U Street Metro, restaurants, bars, stores and more. All offers will be reviewed, seller reserves the right to accept and reject offers. This newly completed residence by Zion Developments, crafted with such authenticity, style quality materials. Offers four bedrooms, each with a spa-like ensuite.~ The in - law suite ,equipped with its own bathroom, located on the main level can be converted into a home office.There are two bedrooms on the 2nd level.~The master suite has custom closets, a spacious glass-enclosed shower and double sink vanity .The bottom level has an English basement with built-in kitchen, its own bathroom, and a spacious bedroom. 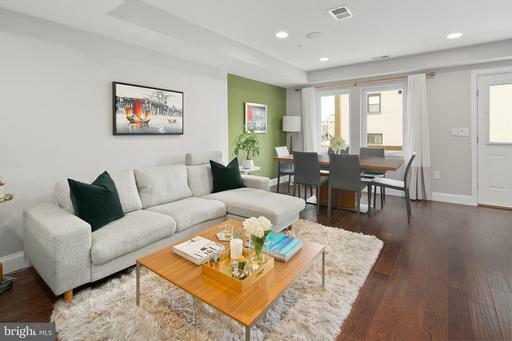 Private parking on the rear.Featuring high -end designer finishes, incredible chefs kitchen with stainless steel appliances ,Wolf gas range, KitchenAid friedge and double owen, large windows that provide abundant natural light. Incredible open spaces with a high ceilings, designed meticulously to entertain in city style. The rooftop Is a must see! 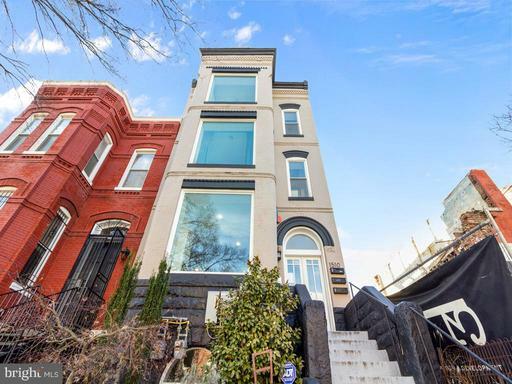 It is a multifunctional and private space that opens to an air deck with unsurpassed vistas view of the Washington D.C and US Capitol .Located in the sought out NOMA neighborhood which is minutes away from Union Market and H street. 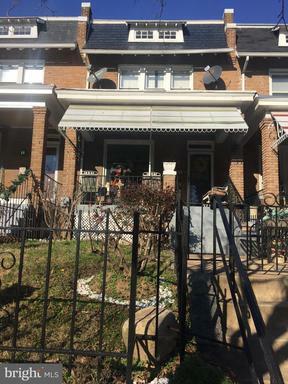 Fully Renovated 3lvl 4 Bedrm 3 full Ba 1 Hb. Open floor plan w/huge kitchen Island, New cabinets, countertops, KitchenAid appliances, hardwood floors throughout. Deck leading 2 fenced rear w/ parking pad Automatic Garage Door. Master Bedrm w/balcony, Upper lvl laundry. Front Entrance Basement, w/full kitchen appl laundry. Smart Home feat As per googlemaps < 500ft Stadium Armory Metro Station! 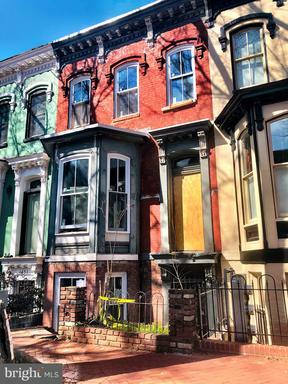 This stunning 4BR, 3.5FB Victorian style Capitol Hill rowhouse, custom paint thru out features a dbl door, fyr entry to a bright open mn lvl w/new hrdwd flrs, cstm crown pic frame molding, 10 ceilings, rcssd lghtng, elec FP, TSK w/cntr islnd, brkfst bar, marble cntrs, cstm cbnts SS appls, MBR w/FP super MBA, apt/suite on lwr lvl cmplt w/den, BR, KIT, lndry closet w/new W/D more!!! 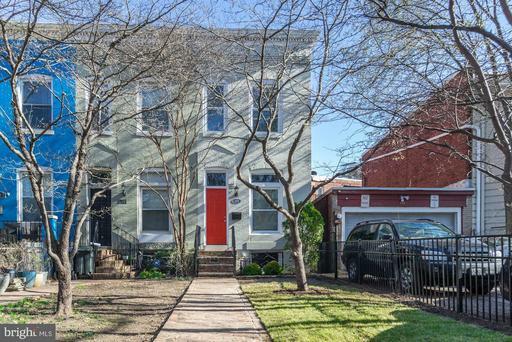 Beautiful Victorian in the heart of Truxton Circle with charming original details and modern updates. This home offers four bedrooms, three and one half baths spanning three levels. On the upper two levels one will find generous living space, three bedrooms and two and one half baths. The master bedroom features a walk-in closet, en-suite bath, and private porch. The lower level offers one bedroom, one full bath, walk-in closet, second full kitchen, and second laundry closet. The rear of the home offers a patio which connects the main house to the unfinished carriage house and garage. 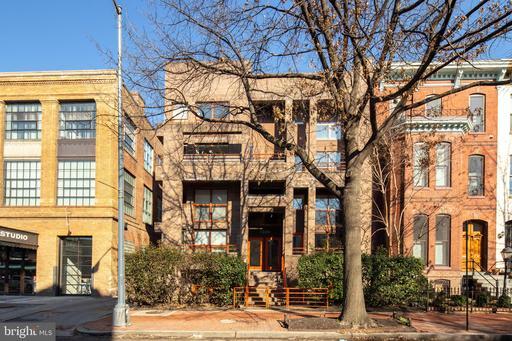 Easy access to NOMA,Shaw and Downtown! 94 Walk Score! Price reduced! 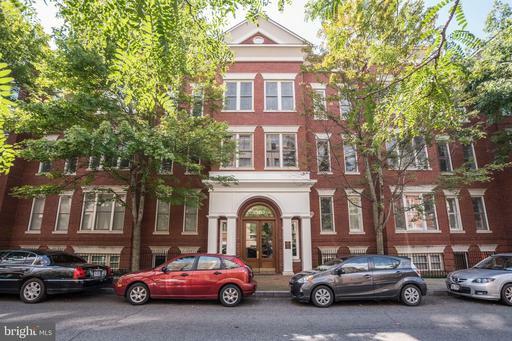 Rare 3 Bedroom/3 Bath condo with PARKING in Shaw neighborhood! Two-level condo has an open floor plan, large windows, high end lighting, gourmet kitchen, hardwood floors throughout, and income producing lower level. Main level has large living room and dining space with an updated kitchen. Kitchen features espresso cabinetry, stainless steel appliances and gas 5 burner stove. Two spacious bedrooms include a large master suite with a chic en-suite bath. Lower level renders an Airbnb/rental opportunity with 800 sqft one bedroom one bathroom. Lower level provides separate entrance and kitchen and large bedroom. 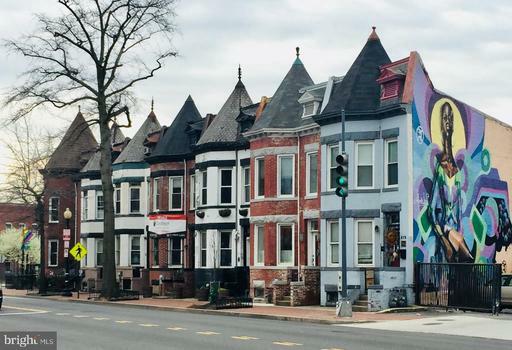 Three blocks from the O Street Giant Foods Grocery Store and 15 minute walk to the Convention Center and Shaw Metro Centers. Open House Saturday and Sunday scheduled for 13 and 14 April 2019, 1-4 PM. In the same family for 70+ years. Corner lot with great natural light. Under 1 mile to Union Station. Opportunity to renovate or convert to condos. Current C of O for 3 units. Garage parking can be restored. Light filled Luxury at the Whitman!! Rare and expansive 1,300+ square foot condo with upgrades galore awaits.This luxury condo features maple hardwood floors throughout, gourmet kitchen with high end appliances, gorgeous granite counters, a massive living room/dining room with open concept perfect for entertaining, two master suites w/ walk in closets, inviting balcony, designer recessed lighting, spacious guest powder room w/ stackable w/d. Competitive pricing also includes TWO side by side garage parking space very unique and an additional secure storage unit. Building amenities include 24 hour concierge, fully appointed gym, community room. Rooftop offers spectacular 360 degree views w/ BBQ grills, picnic areas and a bona fide lap pool. Location is Prime. Steps to Blagden Alley, convention center, Marriott Marque, Mt. Vernon Metro green/yellow, multiple grocery options and much more! 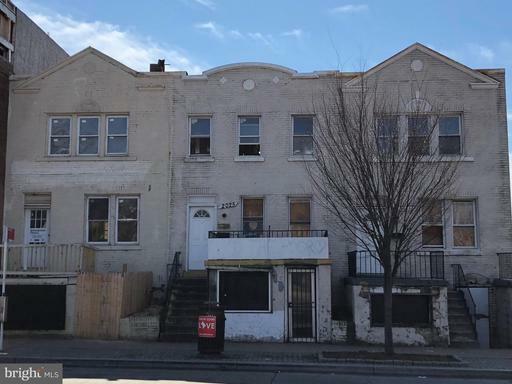 Fully occupied generating OVER 50K/yearly revenue.AMAZING Live/Work, Live/Rent or rent both opportunity expansion possible as well Flexible ARTS-2 zoning directly across from The Howard Theatre. 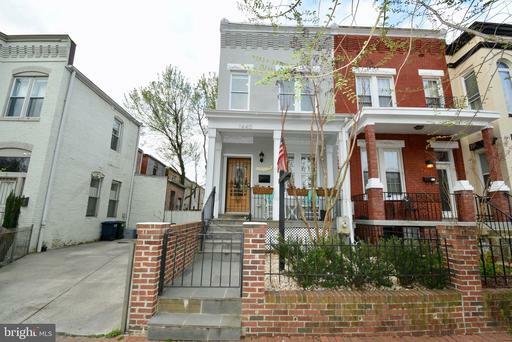 Currently configured as 2 units upper level 2 bed/1.5 bath duplex lower level 1/1 with rear patio. Great AirBnB opportunity or rent to offset mortgage while enjoying life in bustling Shaw - steps to all the city has to offer. 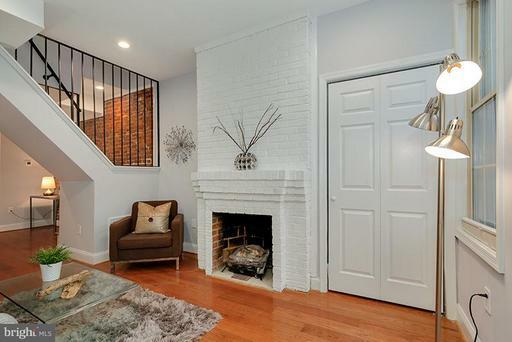 Beautifully renovated all-brick 3-level Row House in burgeoning East Capitol Hill with 4 BR and 3.5 BA! 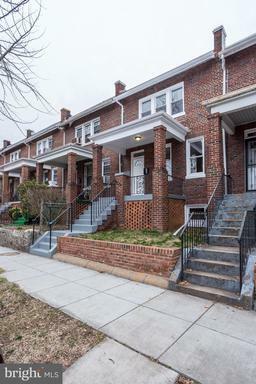 1 Block to Stadium-Armory Metro! Open main-level layout, great for entertaining, includes a spacious Living Room, separate Dining Area Gourmet Kitchen. Brand-new Kitchen features an Island, Quartz Counters, Kitchen-Aid Stainless Steel Appliances, new 42" white cabinets...Everything is new!! Main Level half bath. Beautiful new hardwood floors on Main and Upper Levels. All 4 BAs are brand new with designer touches and ceramic tile. Spacious Master BR has a full bath with designer ceramic tile and sky light. 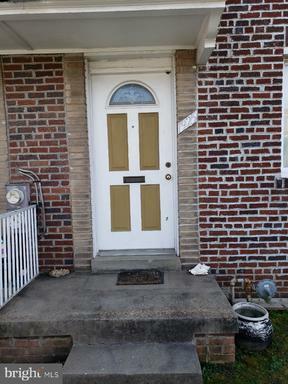 New doors, new hardware, new recessed light fixtures, and freshly painted throughout! New HWH, Washer/Dryer and HVAC. Lower level is fully tiled and has a large rec room, a spacious BR a full BA, along with a rear entrance. Private parking driveway pad in rear with garage door. Ideal location! Hurry....wont last!! Offers due by 6pm on Tuesday, April 2nd. 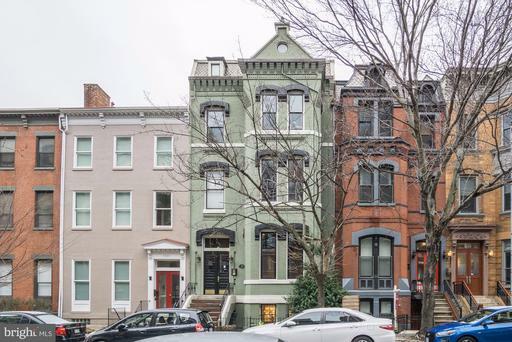 Two-in-one quintessential Capitol Hill row house with 2,290+ sq/ft over three floors. Step into the enormous upper unit with hardwood floors and grand living room and bonus study. All brand new appliances throughout. Huge back yard and deck for entertaining. Upper unit has two enormous ensuite bedrooms on the upper level and den/nursery area. Pay 1/3+ of your mortgage with rental income from the one bedroom and 1.5 bathroom lower unit with brand new appliances. 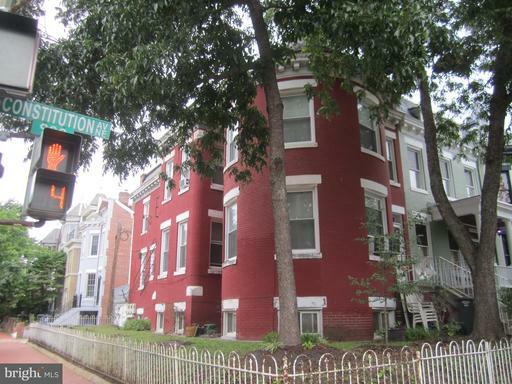 Steps to the bustling H Street corridor with restaurants, and trolley stop with 10 minute commute to Union Station! 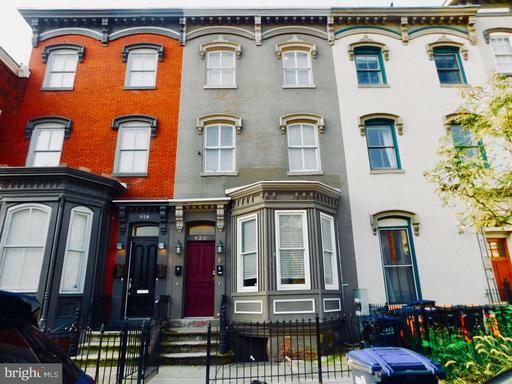 This large 2 level Federal Row home with MU-4 zoning, has a split entry with two, independent levels, new HVAC, and new boiler can be lived in or converted to a commercial application including a restaurant, business, Airbnb or possible multi-family conversion. 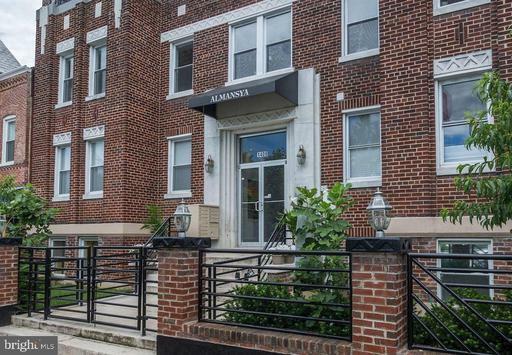 Ideally located beside ANXO Cidery and Truxton Circle, 308 Florida Ave NW is short walk to Shaw-Howard Metro Station and all the areas amenities. Off-street parking included. Sold as is. Refreshingly unique floor plan. Original property is totally renovated, only front and side walls exist from original building. Enjoy luxury living in exciting East Hill neighborhood. Gourmet kitchen with quartzite counters, KitchenAid and Bosch stainless steel appliances, huge walk-in pantry. Two master bedrooms with fabulous baths ensuite. Pleasant East-West exposures on gated private patio and covered balconies. 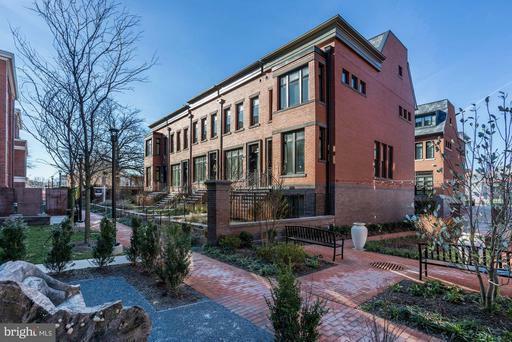 Only 2 blocks to new Safeway Grocery 8000 sq ft of additional retail; 7-8 blocks to 7th Street "Restaurant Row", Eastern Market; 4-5 blocks to Lincoln Park, 2 Metro stations Harris Teeter! Owner is a Licensed Real Estate Agent. 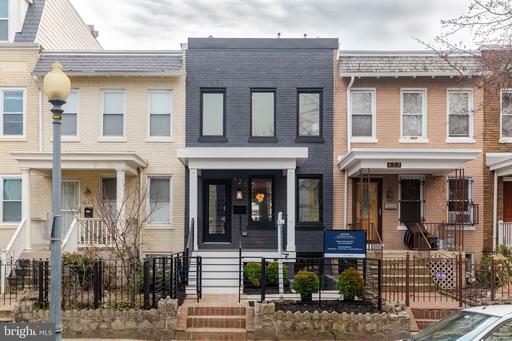 Welcome to O Street, Northwest and the Old City II Community. This property features an end unit row home with an Owners Suite nestled in the top floor loft including an on-suite bathroom with relaxing Jacuzzi tub. In addition and a rarity in this area, a driveway spacious enough for two vehicles. This home is located a few miles away from downtown and the city~s many shops, museums and attractions which are easily accessible via nearby public transportation, bike share, etc. Location Location, Location ! 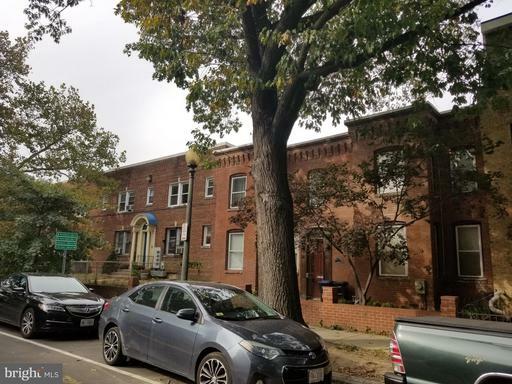 Large 3 level row house located on a great street just a few blocks from the vibrant U street corridor, metro, bus lines, restaurants, shopping, YMCA gym, pool and more. 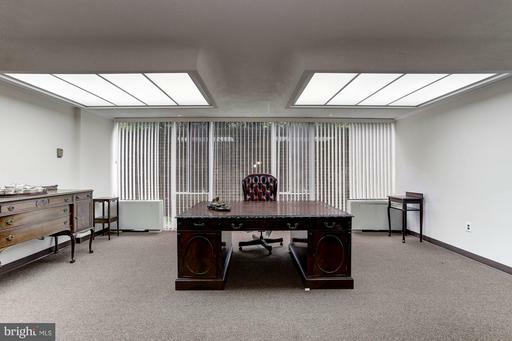 This property offers three levels of endless possibilities. Property is being sold as is. A great opportunity for either and owner occupant or investor. Dont let your clients miss out. Listing Broker: Urbane Properties, LLC. 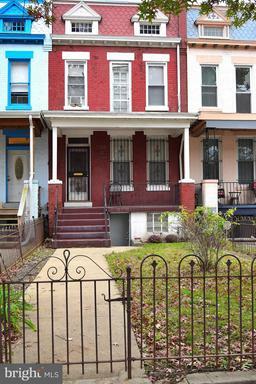 Fully renovated 3 BD / 2 BTH row home! 3 Levels with finished, walk up basement front and rear entrances. 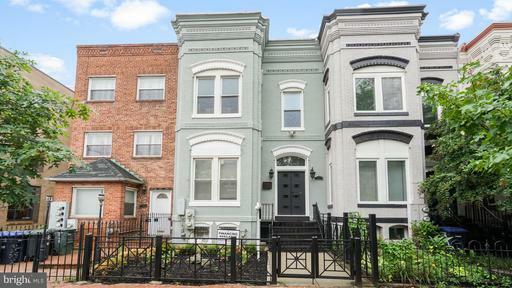 Walking distance to Lincoln Park and less than a 10 minute walk to 3 metro stations. Relax on the front porch, sip coffee in the kitchen sunroom, or BBQ in the back yard. 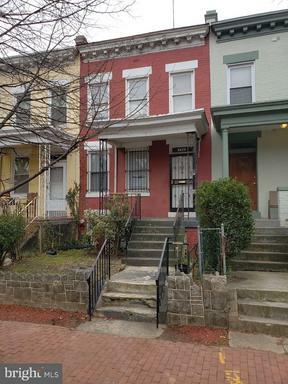 Youll enjoy this beautiful home with a new roof, new central AC, new hot water heater, original hardwood floors, renovated upstairs bathroom, and new carpet with fresh paint throughout. Upgraded kitchen with a new dishwasher, microwave, base cabinets and counter tops. Excellent location! 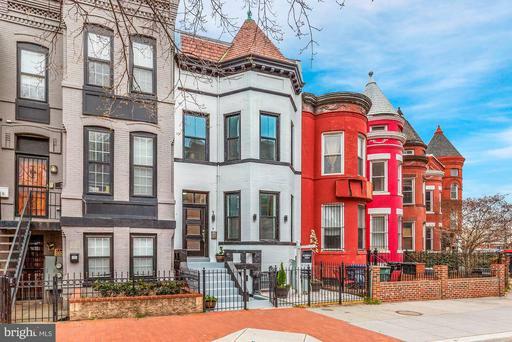 Nearby grocery, shopping, restaurants and Eastern Market. See full list of updates in Documents. 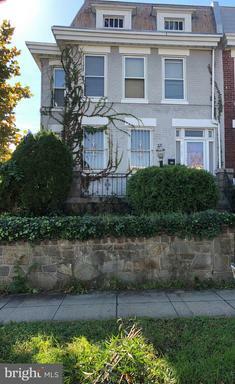 Capitol Hill Semi-detach 2500 sq ft home w/fenced/gated yard ideal for parking up to 2 vehicles. 2 Unit property. Live in one, rent out the other unit. Lower Unit has Liv Rm, Kit, Bedrm, Bath w/front rear entrances. 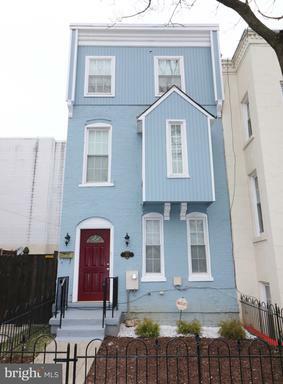 Upper Unit has 3 levels 4 bedrms, 2.5 ba, Cathedral ceiling in Master Bedrm, rear deck, loft leads to rooftop. EXTRA LARGE Colonial Home with high ceilings and original parquetry wood floors. Main level has a formal Living Room, an EXTRA LARGE Dining Room, spacious country kitchen w/half Bath rear Enclosed Porch. The upper level offer 3 very sizeable Bedrooms and Full Bath. On the Lower Level there is a Front Entrance into the Mud Room, then the front parlor and an EXTRA Large center parlor/bedroom with Half Bath and Rear Exit. The rear yard has alley access and space for off street parking. What are you waiting for? 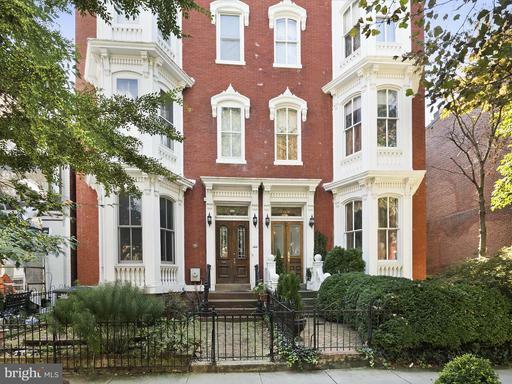 This is the perfect opportunity to own in DC. 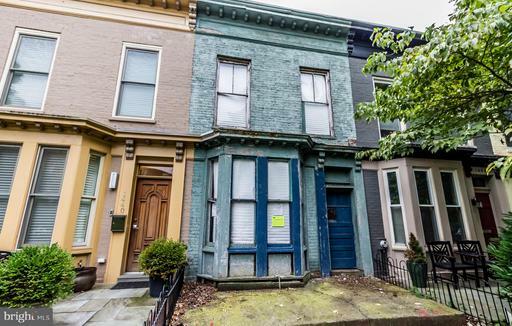 This historic Capitol Hill property is ideal for the DIY buyer or an investor. 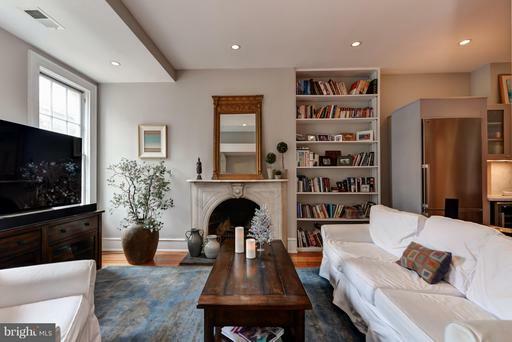 This house includes an English basement that can be used for additional living space/au paire/rental. There are double porches in the rear, and ample space for a customized oasis. Move quickly! FIRST OPEN SUNDAY APRIL 14TH 1-4PM! 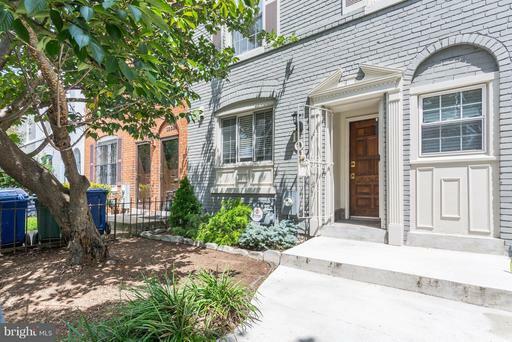 Exquisitely maintained Federal semi-detached porch-front townhome in the uber hot H Street corridor! 3 bedrooms/3.5 bathrooms over 3 floors with open plan living/dining room, 2 large upstairs bedrooms with 2 full bathrooms! Lower level living area plus bedroom and another full bath. Gigantic backyard for entertaining plus additional attic storage. Steps to restaurants and bars and only a 10 minute commute via street car to Union Station! Offers due, if any, by 6pm on Wednesday, April 17th. CHARM AND CONVENIENCE WITH A MAJOR PRICE DROP! 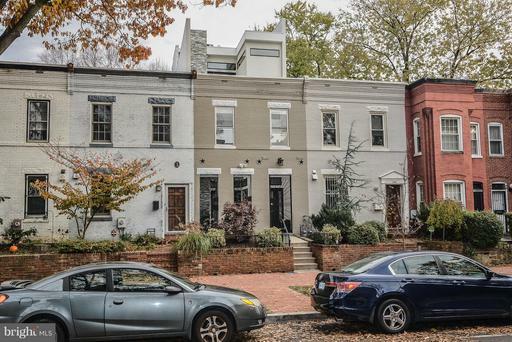 Fully renovated rowhome in U St corridor! Located on sought after 12th Place, this light filled home is just steps to the metro, cafes, clubs and shopping. Brand new gleaming hardwood floors, gourmet kitchen and baths, plus gas fireplace, full sized stackable washer/dryer and more. The master bedroom is spacious, with room for extra lounging or a desk. Fenced in back yard and fabulous deck for entertaining, and complete with a pergola for festive lighting or for your very own wisteria. Potential to add parking. Trader Joes and Yes! Organic Market close by. Pride of ownership shows in this three level gem, nestled between 6th and 7th Streets, with easy access to urban attractions yet offering the serenity of a tree-lined, one way street. Newly refinished hardwoods and an abundance of natural light make for a winning combination. 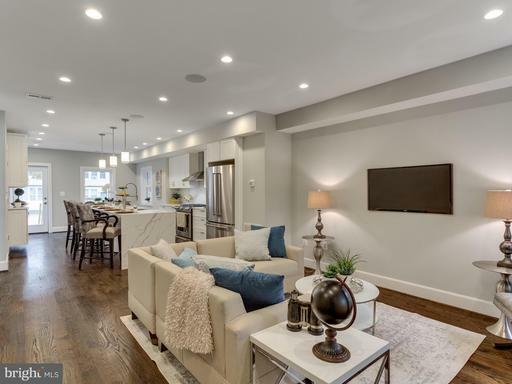 Finished, walkout basement features both a sizable family room, with stylish built-ins, and a separate alcove for stationary cycling or meditating on your yoga mat. Upper level offers three bedrooms or two plus a home office. Relax on the deck or barbecue with friends. Concerned about fighting for parking? Problem solved, with a private, secure space located off the alley. 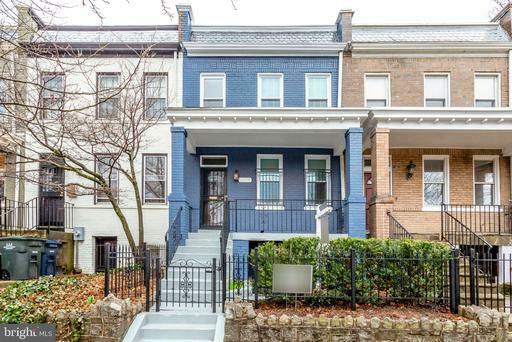 Located just a few blocks from H Street Whole Foods and Orange Theory Fitness, NOMA metro, and the culinary delights of Union Market, this move in ready beauty awaits. incredible price on this townhome with a new HVAC system 2018 and newer windows 2014. Nice fireplace in the livingroom and a private backyard for those family BBQs. Large Master bedroom with full bath. Excellent security system conveys and its newly painted and ready to go. Offers will be presented immediately upon receipt. Hurry....its a great price and will go quickly! BACK ON MARKET!! 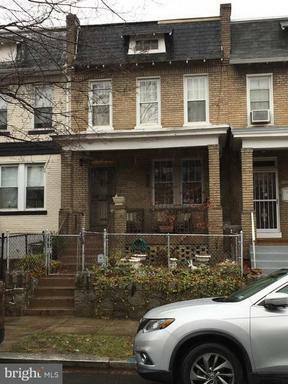 !This home can be lived in as is but can be renovated or converted to Condos with city building code permit approval. Lots of update potential, off street parking in rear. 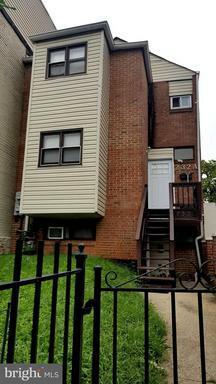 Capitol Hill **Close to Metro transportation **Eastern Market**Marine Barracks**Riverfront***Virginia** and Interstate Highways** This one wont last so HURRY with your offer!! Stunning and newly renovated multi-level unit condo in pet-friendly boutique condo building! 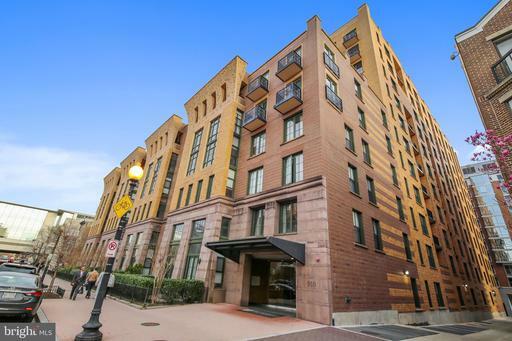 This spacious 3 bedroom/3.5 bathroom unit has a perfect open floor plan and features hardwood floors, high ceilings, recessed lighting, and DC city views! Walking in, you will see the gourmet Chefs kitchen, outfitted with quartz counter tops, stainless steel appliances, and tons of cabinet space. The living room is expansive, with enough room for dining and space to lounge, entertain, and more. Upstairs, you will find the three gracious bedrooms. The Owners Suite is fabulous and comes with a spa-like ensuite bathroom. This condo lives like a home, and is complete with in-unit washer/dryer, in-home speakers, and video intercom! 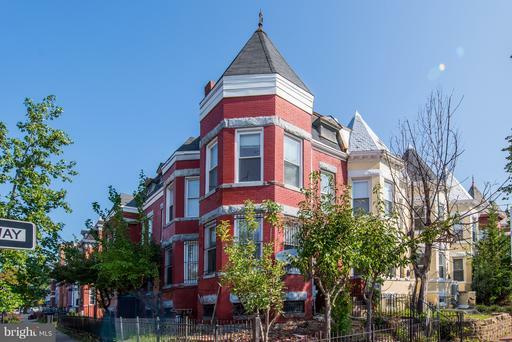 Finally, the location tops this opportunity off- near the Metro, Capitol Hill, and H ST Corridor! Come and love this home like the owners have done for so many years!! More than 2,000 sq. ft of living space and 3 levels 3 full baths. Home has landscaped front yard and fenced back yard! Best buy on the Hill and in Atlas District. Rates are fantastic right now. 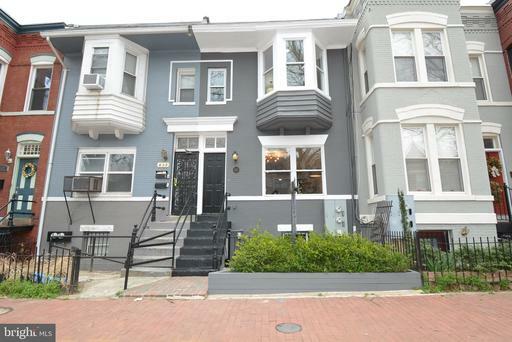 Large 3 Bed/2.5 Bath condo a block from H St, NE restaurants and nightlife. Nearly 1500 square feet of space on 2 levels with expansive private patio. This is row-home life with condo convenience!! Open floorplan for main living area. Kitchen has Silestone countertops, island/bar and bamboo floors. Lots of morning and afternoon light. The bedroom level has a spacious master bedroom, two sizable additional bedrooms, two full baths and a separate laundry closet with full size washer/dryer. Outside, have a major barbecue in the private patio. Pets welcome so you can have them out there too !! Inside and outside, more space than youll find anywhere in the neighborhood. Lots of storage in deep closets, too. Even a low condo fee. Come check it out! Just off U Street. Secure Bldg. Updated! New Blinds will be installed. All New Appliances. Sun filled Cozy 2 BR, 2Full BA condo. 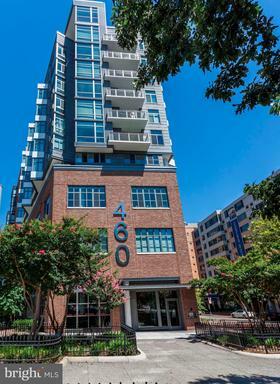 Large Window Garage PARKING, hardwood floors, granite counters, rooftop deck w/ grill, seating and breathtaking city views; 24hr gym on-site management. 2 blocks to Metro. Whole Foods coming soon. 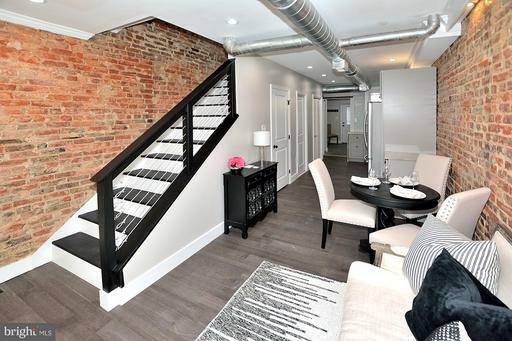 Enjoy City Life in U Street Corridor. TEXT SHOWING CONTACT for appointment and questions.